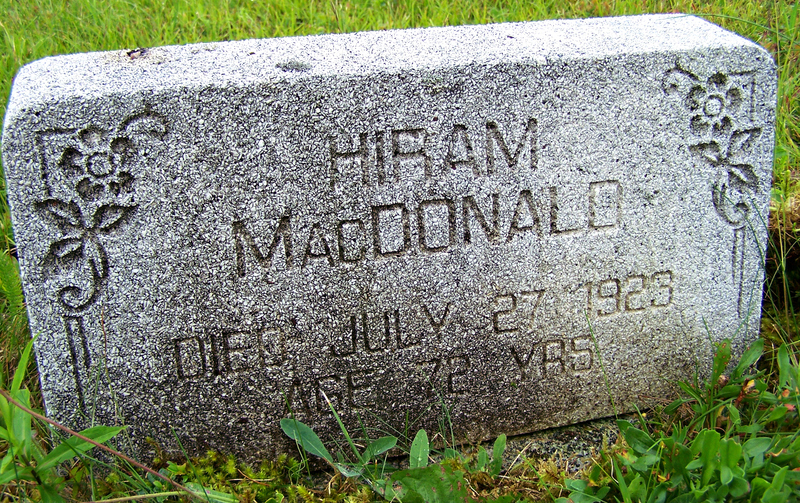 I could not find Hiram MacDonald’s death record on the Nova Scotia Genealogy website after searching with various spellings and years. Either he died out of the province or his record was indexed incorrectly. 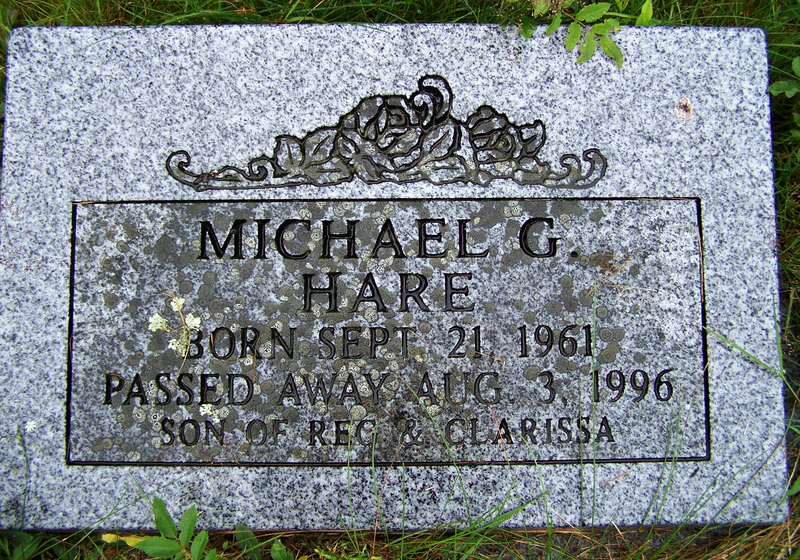 According to his headstone, he would have been born about 1851. According to the 1901 Census, he was born September 26, 1857. However, according to the 1911 Census, he was 59 years old, indicating he was born in 1853 if his birthday was in September. 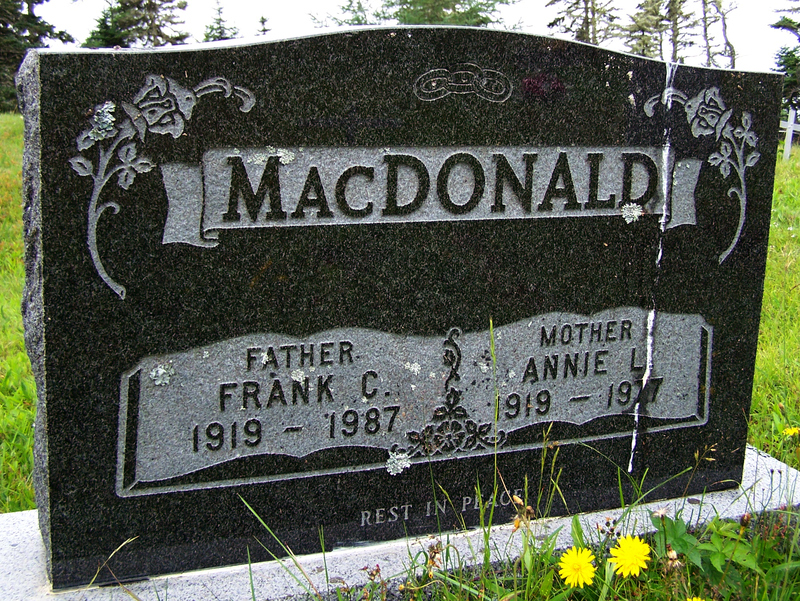 In 1901, he lived with his father, Archibald McDonald, born November 18, 1817. In my records, I have an Archibald born around the same time who married Mary Ann Englehutt. Searching further, I found the family in the 1891 Census. Hiram was 38 years old (born c1852 if born in September) and lived with his mother, Mary Ann, age 86 (born c1805), and father, Archibald, age 76 (born c1815). Given that Hiram lived his life in Harrigan Cove, it is highly likely his death record has been indexed incorrectly. 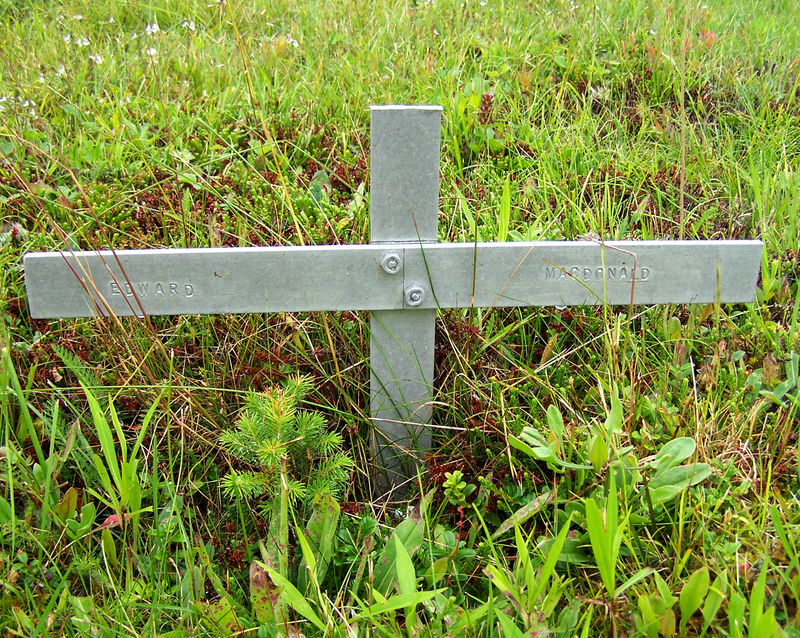 There shows no history he left the province, so he probably died here. The census records show no sign of marriage, so he was probably single his entire life. In the 1911 Census, he was single and living with his nephew, Hiram Jackson, age 23, and niece, Lizzie Jackson, age 29. Balcom, Margaret Eveleigh: Born October 20, 1864 at Salmon River, Halifax County, NS, the daughter of Ann O’Leary and Samuel Balcom. Balcom, Margaret Eveleigh: Born October 25, 1873 at Salmon River, Halifax County, NS, the daughter of Catherine O’Leary and Edmund Balcom. This couple may be Lavinia Mary Parker and Charles Edmond McDonald who married on December 22, 1874 at Harrigan Cove. According to the marriage record, Lavinia was 19 years old at the time of marriage. 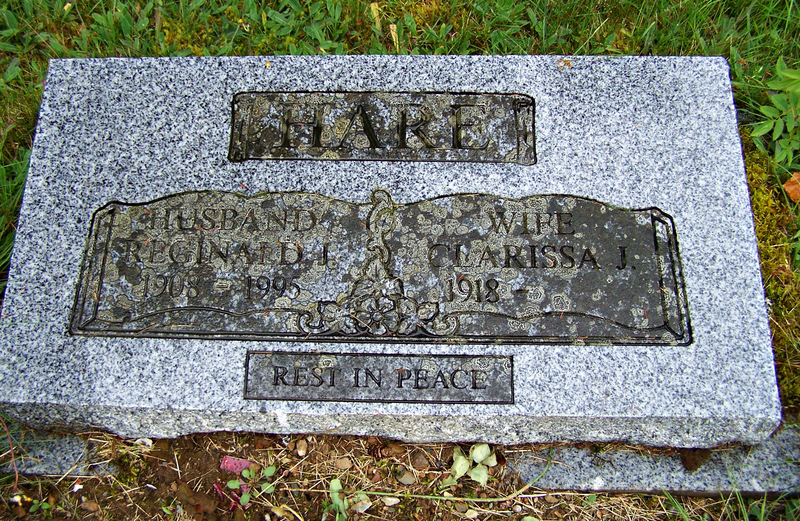 She lived (and may have been born) at Owl’s Head, Halifax County, NS, the daughter of Letitia and Thomas Parker. Charles was 23 at the time of the wedding. 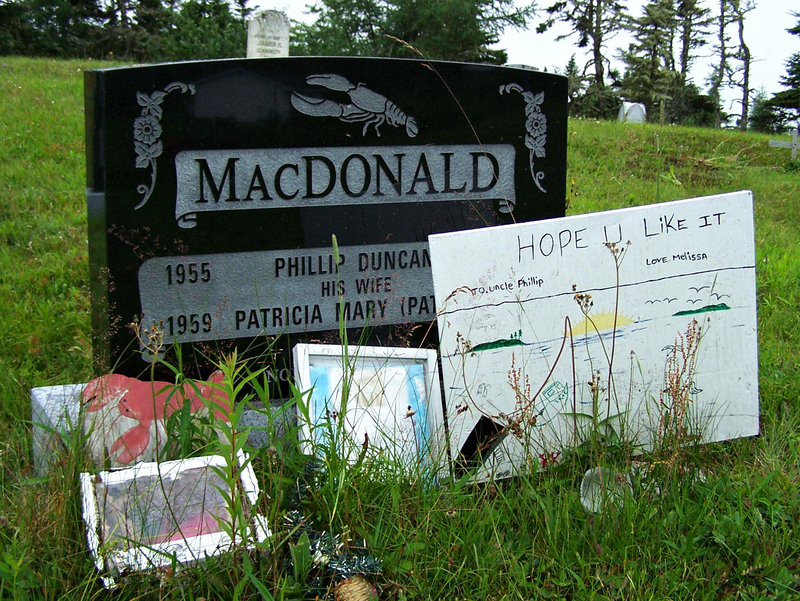 He was born at Harrigan Cove, the son of Mary and Daniel McDonald. He worked as a fisherman. 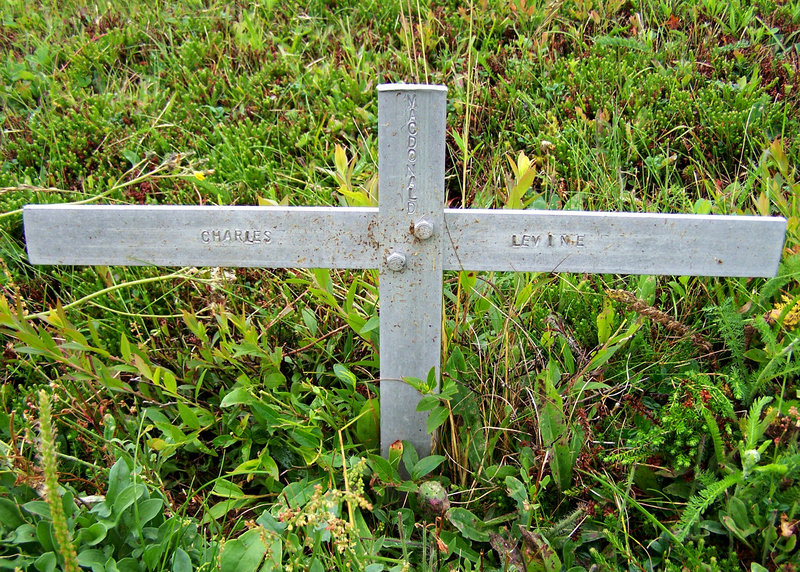 This may be the same Charles who died August 23, 1931 at Harrigan Cove. 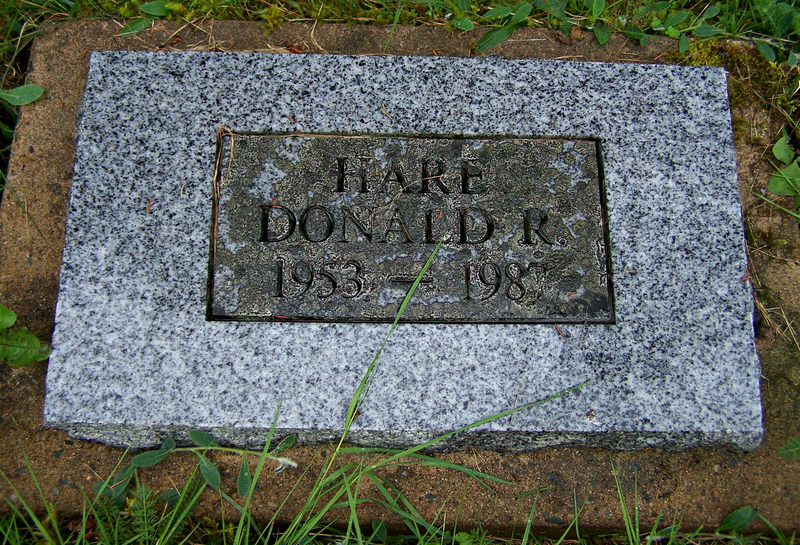 According to his death record, he was Charles Edward McDonald, born April 4, 1847 at Harrigan Cove, the son of Miss Parker and Daniel McDonald. The birth year calculated from Charles Edmond’s marriage record puts him born about 1851, so a few years off of the death record, which is NOT uncommon. Charles Edward was married, but no spouse was noted. 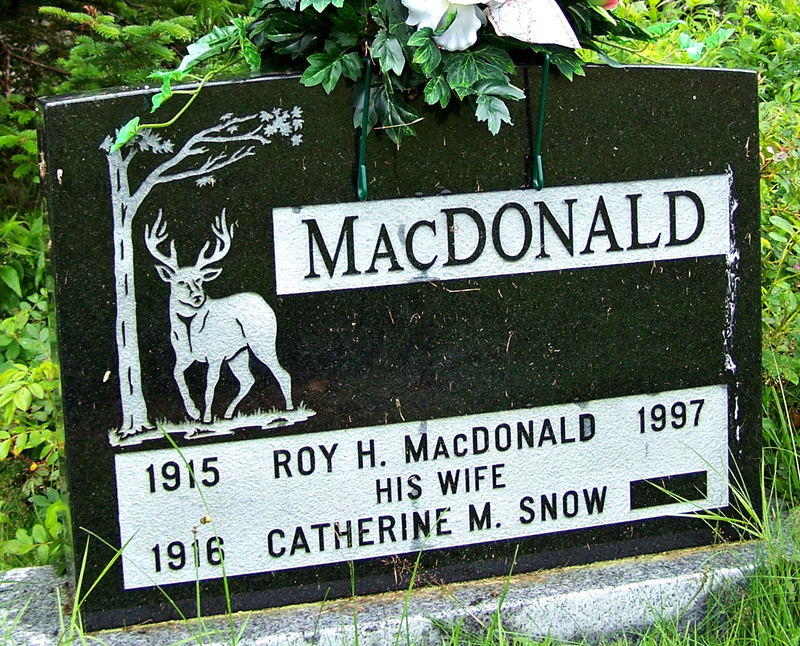 His son, Edward C. MacDonald provided the information for the death record. According to the 1891 Census, the family of Charles (age 40; born c1851) and Lavinia (age 35; born c1856) had a son named Edmond, who was five at the time. 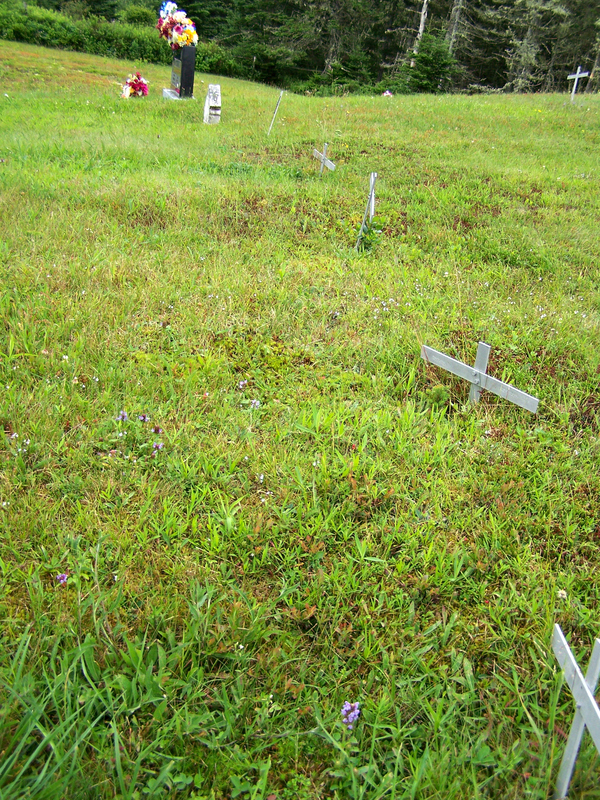 Their other children were William, Amelia, Daniel, Mary, Jerimiah and Annie. 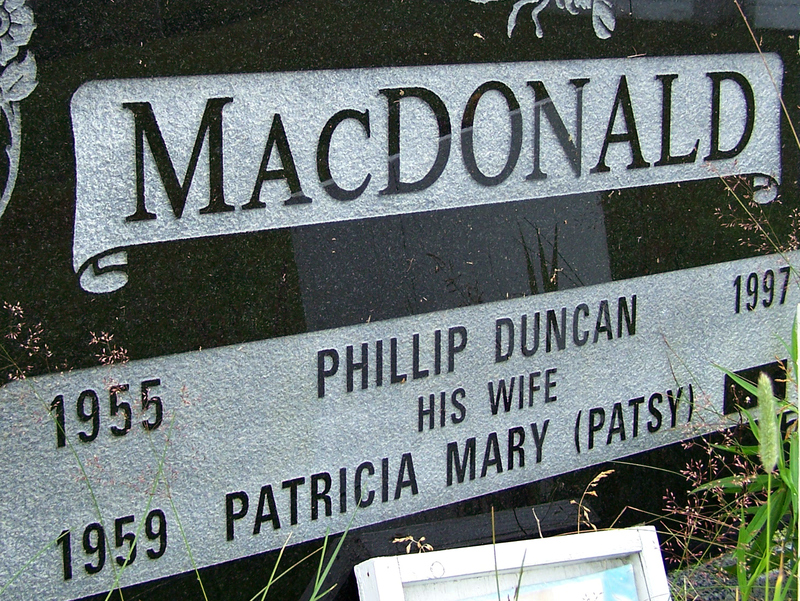 I’ll leave this information as is, and individual researchers can use it to seek further evidence that the couple on the headstone matches those in the vital records and Census record. If anything further comes across my desk, I’ll added to their names in the Book of Names. Update: I took a second look for Lavinia’s death record and found it. 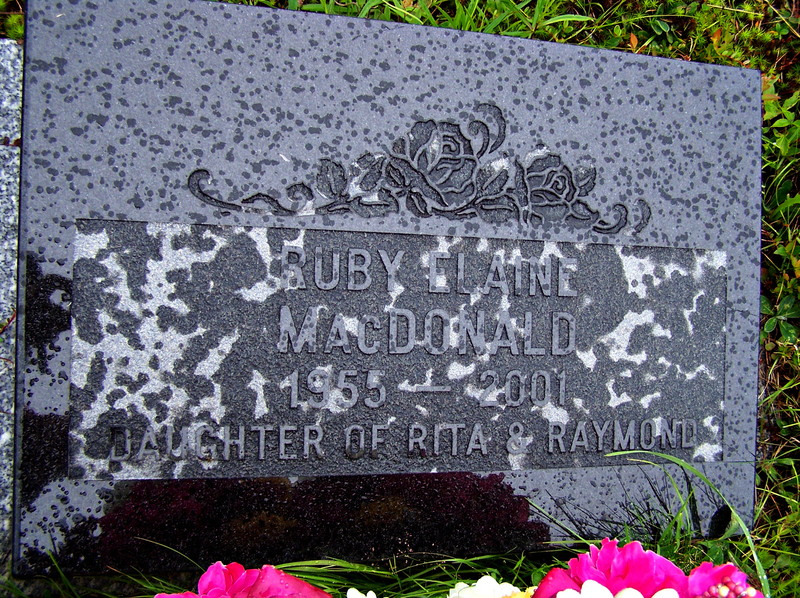 She was indexed as Mary Lavenia McDonald. She died April 12, 1932 at Harrigan Cove. According to the record, she was born November 11, 1854 at Owl’s Head, Halifax County, NS, the daughter of Lettie Parker and Thomas Parker. Although her mother was recorded as a Parker, I’d need more evidence to prove this was her actual maiden name. Atkins, Jennie Frances: Born April 15, 1901 at Harrigan Cove, Halifax County, NS, the daughter of Minerva Jane Swallow and Rueben Atkins. 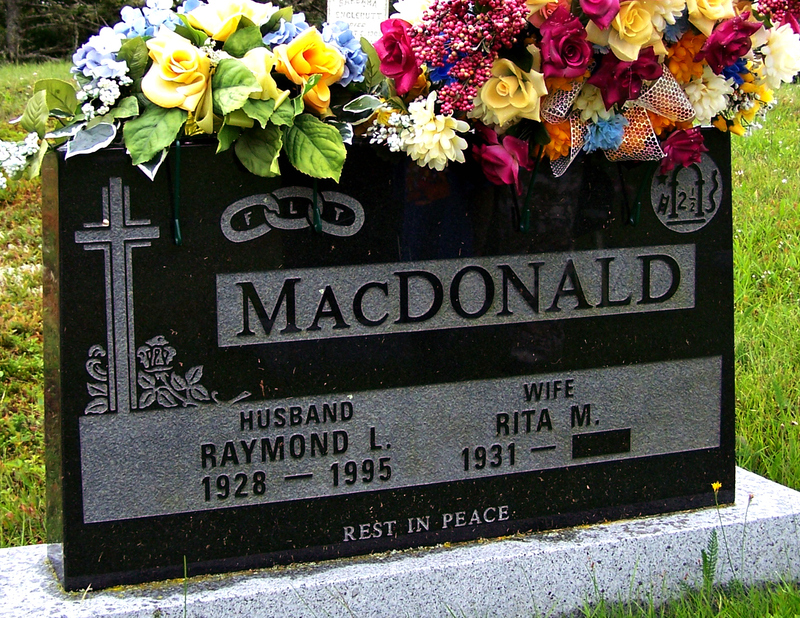 I have not found a record to indicate who Edward MacDonald was nor when he died. 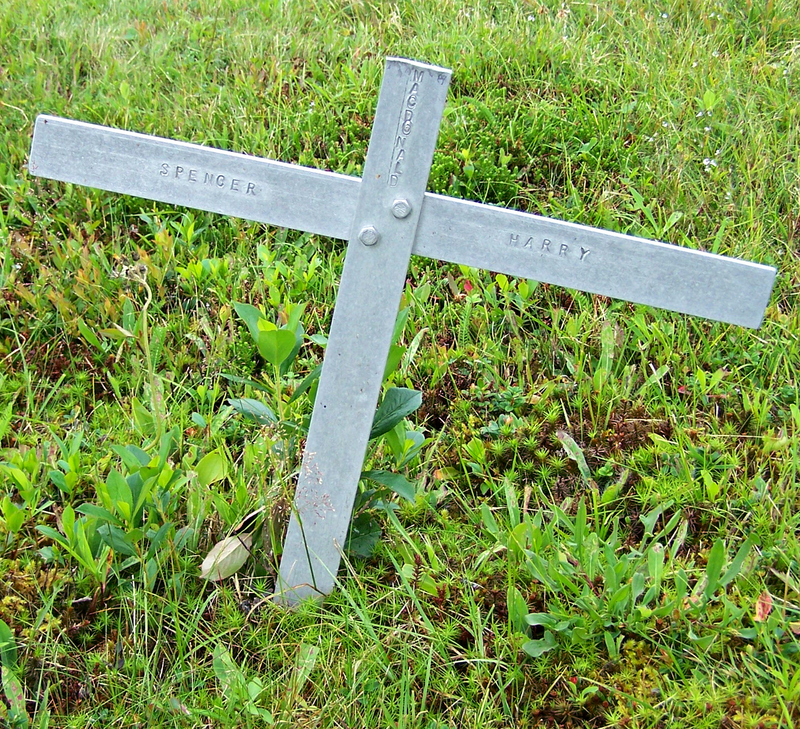 The names on the other steel crosses are: Jim, Spencer, Harry, Charles and Levine MacDonald. 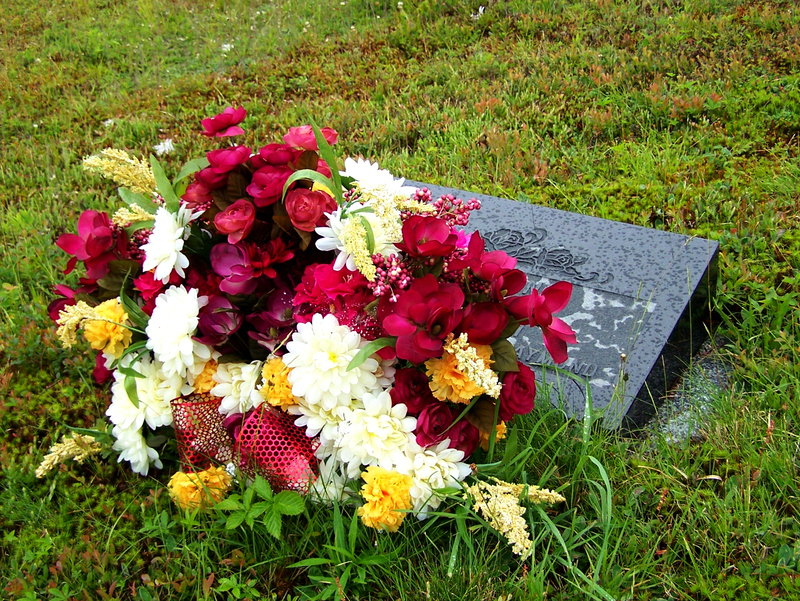 Atkins, Mary Lucinda: Born December 25, 1898 at Harrigan Cove, Halifax County, NS, the daughter of Augusta Pye and Charles Richard Atkins.